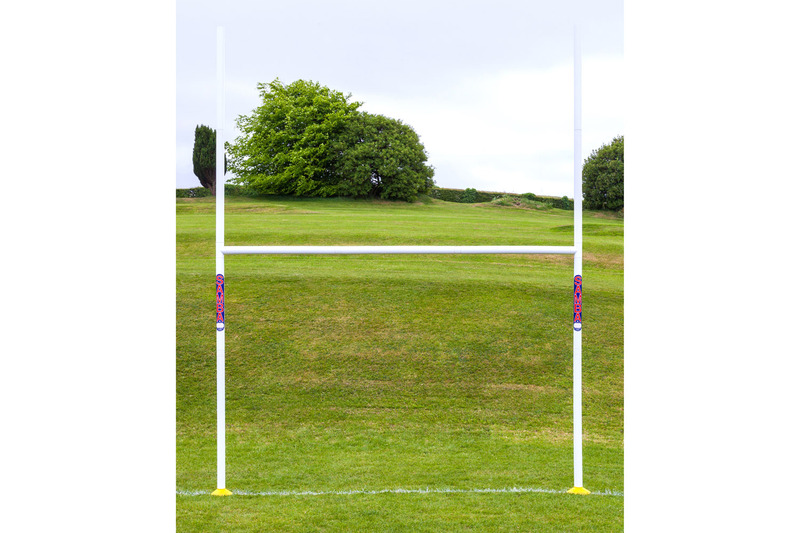 Samba Rugby Posts are 9' 6" wide x 12' high, crossbar 6' 6" high. 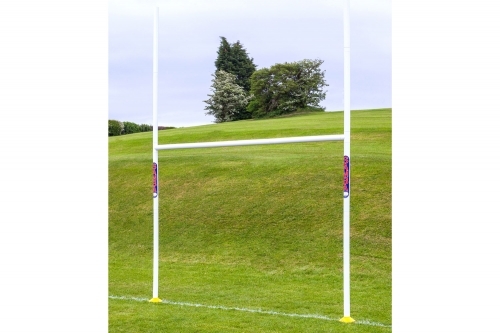 They look like a socketed goal, ideal for practicing your rugby tries. 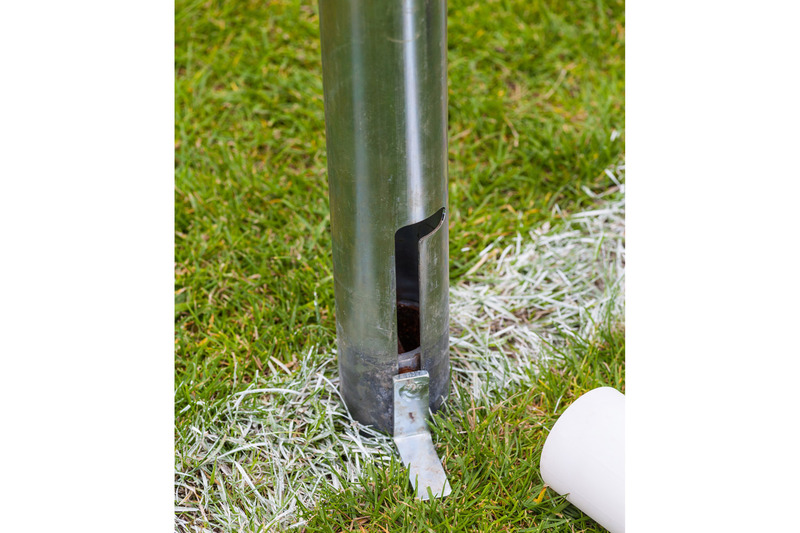 Choose single or pair from drop down bar. 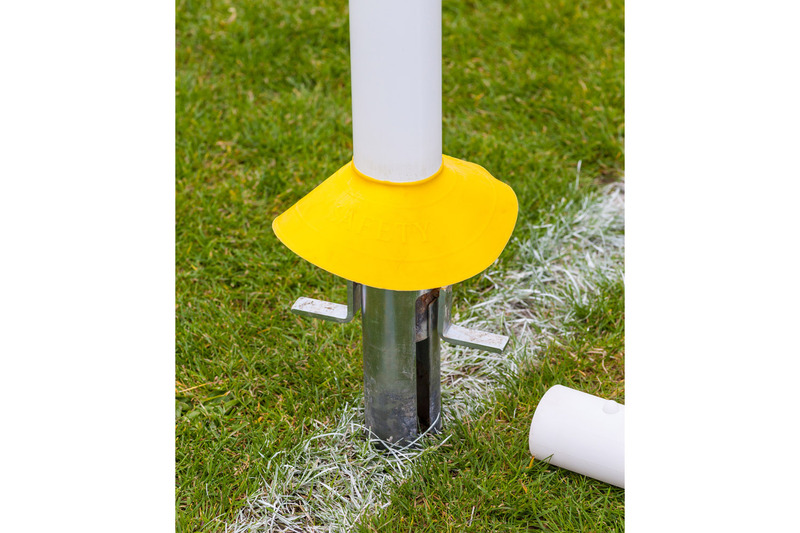 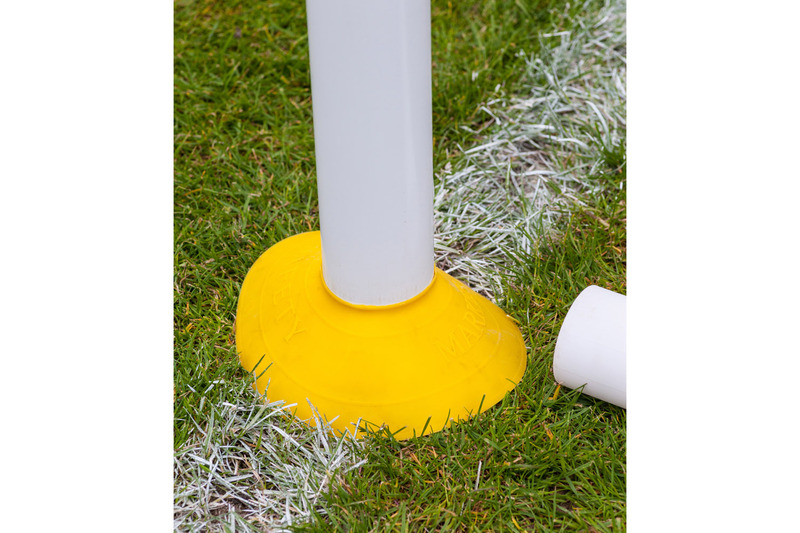 The Rugby posts are secured by a unique "no holes" system - Virtually maintenance free - Fits in an average sized family car - High impact uPVC - Light and easy to assemble. 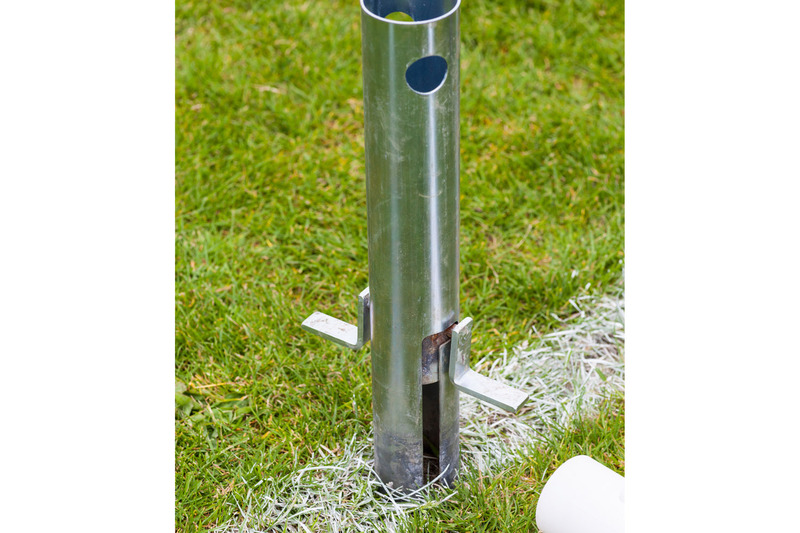 The no-holes securing system is a galvanised steel tube which sinks into the ground approximately 22cm leaving 29cm above ground, the Rugby H then slides over the top of the steel tube.